Signs Here was established in 1990 and has since developed into a successful and reliable business. Using the latest technology available, we offer a quality service that will satisfy your company’s needs. 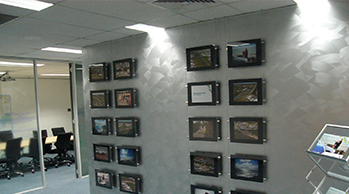 We produce a wide variety of work from small signage through to large projects. To view samples of our work, please take a moment to explore our website. Signs Here provides a complete sign service from design through to manufacture and installation. We take pride in our work and will expertly manage your project from start to finish. Are you in need of superior and vibrant signage to promote your business? Since 1990 the skilled and passionate team of sign writers and designers at Signs Here have helped countless domestic and commercial customers across Melbourne with their promotional needs. Using the latest in graphic design and printing technology our team can create flawless signage for businesses across Melbourne. Do you want your business to stand out? At Signs Here we aim to deliver a complete signage experience to our customers throughout Melbourne’s metropolitan area. By presenting us with your personal designs our team can translate them into a finished set of custom signs suited for your location in Melbourne. 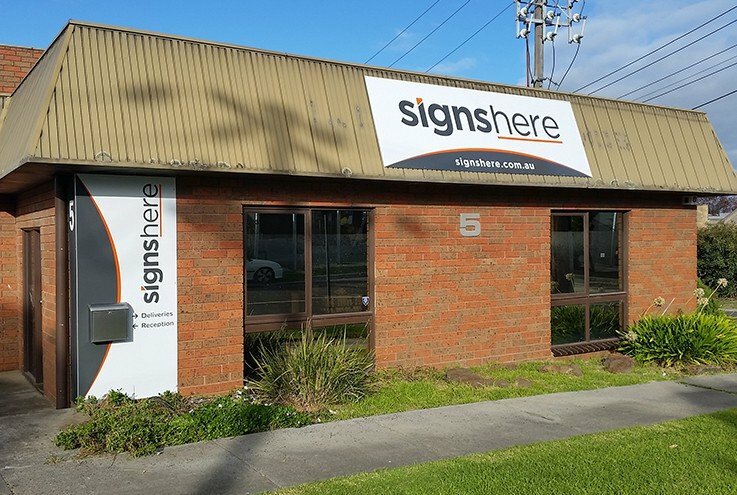 Through our utilisation and application of the latest signwriting methods, techniques, and products, the team at Signs Here can guarantee that you receive the highest quality signwriting experience in Melbourne. To discuss your signage needs and desires with our team call us today on 03 9558 6640.